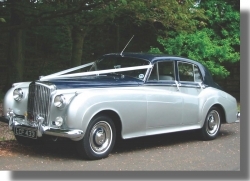 We have a carefully chosen selection of classic, vintage, and modern cars for your very special day. 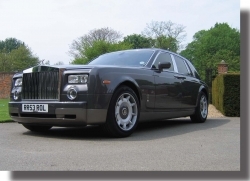 Alexanders Chauffeur Cars is a family run business born from our love of luxury cars with over 10yrs experience. We are customer focused to help make your special day go smoothly. 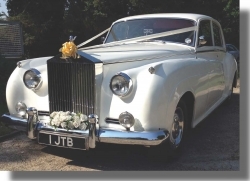 Situated on the Beds/Herts border providing a bespoke wedding service in the surrounding Counties including Cambridgeshire, North, West and Central London. Offering luxury additions, including; Matching chauffeur ties, Car ribbons to suit your chosen wedding colours all available on request. Our chauffeurs are uniformed in grey or black. 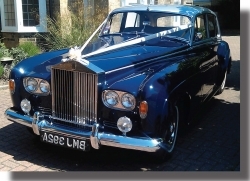 Take a look at our cars and contact us if you wish to discuss how we can be of service to you as we would be delighted to discuss your individual requirements.